By an executive Decree (No 181), the Ecuadorian President, Rafael Correa, ordered the creation of a public drug company called ENFARMA PA. The purpose of this company includes research and development of active ingredients for the manufacture of drugs for human use, veterinary and agronomic. Besides, it will produce medicines already patented – relating to the recently announcement of compulsory licenses. The company also will be involved with the marketing, import, export, packaging, labelling, and distribution of drugs. It looks like the government is trying to monopolize the drug industry. Ecuadorian Decrees can be accessed here. See executive decree 181. For the third time in less than a week, a Court in Argentina suspended some of the articles of the Audiovisual Media Law. No much information is given on the case as such but certainly the law is receiving challenges by different media enterprises. Weeks ago we brought to your attention the sets of regulations seeking to control the content of the media and its activities in Latin America. Yesterday, a Court in Argentina suspended two articles of the Audiovisual Media Law for considering that they could affect retroactively property rights and legal rights. Moreover, it considers that the articles are unconstitutional. This precautionary measure, requested by the Clarin Group, the largest media conglomerate in the country, is the first ruling against the controversial media law; however, the ruling which is provisional, will surely be appealed by the Government. The law was enacted in October this year. The government, which promoted the initiative, has interpreted the law as a way to democratise the media in Argentina, while some sectors of the opposition and newspaper groups saw the new law as giving the executive higher power over the media. The resolution suspends the application of Article 41 and 161 of the law. The first Article regulates licenses and shares in the audiovisual communication service. That said, companies can only transfer and/or sell licenses and or shares through permits granted by a new Authority in which the government has a majority of five directors on a total of seven. The issue is that the text states that a company cannot have more than ten licenses of radio and television (Article 45 (1)(b)), and cannot hold a broadcast television channel and one of cable in one locality (Article 45 (1)(a)). So, it means for example that those companies with more licenses than those permitted by the new law are obliged to sell and need to do so following the procedure – by authorisation. Article 161 sets the minimal period of one year to media owners to be suited to the limits set by law. This week, the government has already put in place the Enforcement Authority, with the intention to begin forcing the media to sell within a year. I believe that the judge rightly ruled that the law produces "irreparable damage", not to mention that it violates the right of ownership over the investment made in the sector. You can read the newspapers here and here. Buenos Aires, ARGENTINA: Jimmy Donal Wales, Wikipedia’s co-founder and co-creator, announced that by January there will be a Wikipedia on DVD. The initiative was introduced by Wikipedia Argentina and Educ.ar which is an online learning resource for children and parents. The DVD will be distributed in schools in Argentina. This version of Wikipedia will be used by schools that have computers of different generations. The point to be raised is that there is no information regarding fees. Is this a donation? Bearing in mind that this 'free education idea' is not new I will think so. In the UK, Wikimedia and SOS Children’s launched a Wikipedia DVD, which is distributed free of charge in some schools in England. However, observed that since 2004 Wikipedia CDs and DVDs have been released in Germany. They can be bought in amazon.de; for new software you will be paying around €25. Yet observed that they can be downloaded free of charge. Now, looking at the payment, I cannot see the transparency of the fees. Wikipedia is free online, so a DVD should be priced according to material costs and taxes. But looking at the price it is sold, I guess that the price reveals more than what I was expecting. So that, I speculate that there are some kind of royalties involved. Certainly, this latte issue may be tricky since Wikipedia has thousands of hundreds of editors. Según informa el NIC Argentina durante el 2010 se implementará un nuevo sistema de registro y administración de nombres de dominio. Por tal motivo, se informa que todas las Entidades Registrantes deberán regularizar sus datos registrales. Aquellas que al 1º de marzo de 2010 no hayan regularizado sus datos registrales serán dadas de baja al igual que los dominios que estuvieran registrados a su nombre. Estos datos (domicilio, teléfono, etc.) deben estar actualizados dado que la falsedad o inexactitud de los mismos puede derivar en la pérdida de nombres de dominio y/o bajas de Entidades Registrantes. Es obligatorio para todas las Entidades tener asociada una dirección de correo electrónico válida y que se encuentre activa. Asimismo, NIC informa que el 1º de diciembre de 2009, entró en vigencia la nueva legislación aplicable: Resolución Ministerial 654/2009. Who are you calling a weir.do? "This TLD will play an important role in the domain name and branding industry because it constitutes a word in several languages. In English there are endless branding opportunities such as please.do, weir.do, how-do-you.do and hair.do". Bogota, Colombia: el tiempo newspaper reports that yesterday about 1,000 counterfeited bottles of whisky were found in a house. The bottles are said to be from well-known foreign trade marks. According to preliminary investigations, the bottles are original and were purchased in recycling centres. Moreover, it is explained that the seals and labels are not original, but are pretty similar. This, according to officials, will make it more difficult to find any of these illegal bottles that may already be in the market. The building was closed by the Metropolitan Police of Bogota and two people were arrested in the raid. The authorities recommend users to buy liquor in chain stores and recognised places, to also review very well the stamps and labels, and any symptoms other than the normal hangover to go to the nearest health centre! I wonder if the recycling centre has committed any crime. At the end, their business is to recycle so, what do they do with the products? Do they washed and put it again in the market? A few days back, I reported in this blog a measure taken by the INDECOPI. This involved the recycling of bottles and packages for medicines in Peru; the intention was to stop people reusing these materials and therefore stopping potential counterfeit medicines. This practice is well known in Latin America, to reuse original packaging. I therefore propose that authorities must start working to build certain policies where recycling companies need to take responsibility – just a thought. The New Herald newspaper informs the statement given by Microsoft. It is reported that Colombia alone registered more than US$ 136 million in losses from illegal software in 2009. The Microsoft’s manager for Colombia explained that "while the software piracy rate dropped two points (from 58% to 56%) the economic losses increased”. He added that this issue was not only because of the growth of the domestic market but also because of “the use of the Internet as a means of product promotion and illegal distribution". 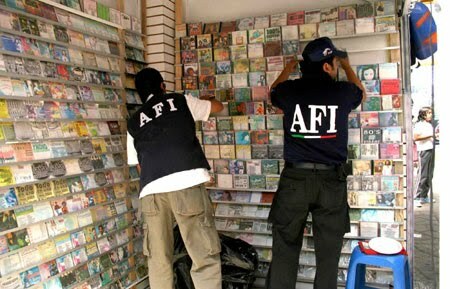 The manager also said that in Latin America, the piracy rate remained at 66% last year, with losses equivalent to US$ 4.311 million. If you think the number are high, wait for the whole report. The country (in Latin America) with the highest rate of counterfeiting is Venezuela, with a whooping rate of 86%. The other two are Paraguay with 83% and Bolivia with 81%. To my surprise, the lowest rate was reported to...Colombia, with 56%. Brazil reported 58%, so good news to those who are planning to develop new software to run and smooth things at the Olympic games in 2016 (I am not trying to be sarcastic). El evento contó con más de 800 delegados de 80 países, quienes compartieron iniciativas que permitan reducir el impacto del tráfico de productos falsificados alrededor del mundo, identificando las soluciones más innovadoras y efectivas, que apoyen las estrategias que ya han sido implementadas en este rubro. 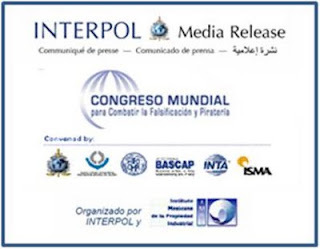 El 5º Congreso Mundial organizado por la INTERPOL y el Instituto Mexicano de la Propiedad Industrial (IMPI), contó con el apoyo de la Organización Mundial de Aduanas (WCO), la Organización Mundial de la Propiedad Intelectual (WIPO), la Cámara de Comercio Internacional (ICC), a través de Acción Empresarial para Detener la Falsificación y la Piratería (BASCAP) y la iniciativa de la Asociación Internacional de Marcas (INTA), así como la Asociación Internacional de Seguridad Administrativa (ISMA). La Organización para la Cooperación y el Desarrollo Económico (OCDE), presentó datos actualizados que indican que el comercio internacional de productos piratas y falsificados, ha aumentado a más de 250 mil millones de dólares, casi el 2% del comercio mundial, por encima de los 200 mil millones de dólares, que se reportaron en 2007. It seems that the market for generic pharma products in Brazil -- estimated to surge 26% per annum -- is a lively and profitable one, judging by one recent deal. According to Pharma Times ("Pfizer beaten in battle for Brazil’s Neo Quimica") yesterday, major Brazilian company Hypermarcas -- which trades in hygiene and cleaning, beauty and food products and over-the-counter medicines -- has agreed to pay around 1.3 billion reals (about US$750 million) in cash and stock for Neo Quimica, one of the first laboratories to sell generics in Brazil. Earlier this year Neo Quimica opened a state-of-the-art factory in Anapolis; full-year revenues are expected to be 380 million reals, with earnings before interest, taxes, depreciation and amortisation coming in at around 95 million reals. "Neo Quimica would have ticked a lot of boxes for Pfizer which, like a number of big pharma players, is looking to the emerging markets, not least Brazil, as a growth driver as US and European sales of patent-sensitive drugs begin to fall. Pfizer has also expressed its interest in boosting its generics presence". Perfume industry – a Mexican business that does not smell right! In Mexico, the volume of counterfeit perfumes is superior to genuine ones. According to William Hidalgo, National Chamber of Industry of the Perfumes and Cosmetics (Canipec)’s president, reveals that data collected from suppliers of raw materials and packaging, producers, traders and official sources indicated that between 55% and 60% of items on offer are out of formality. This situation hits heavily the fragrance industry since the formal market of perfumes and fragrances is valued at 12 billion pesos. Mr Hidalgo informed that between 2008 and 2009, the Attorney General's Office (PGR) alleged to have confined more than 400 tons of fragrance of illegal origin. The main practices identified, he continued, is the filling of bottles of original brands, piracy, theft, auction stale perfume and contraband. Canipec asserted that they sent to the Asset Management and Disposition Agency(SAE)a letter requesting the destruction of over 400 tons of illegal perfume, but has received no response about what will be the destination of the goods. The version of the SAE is the opposite. They explained that they have received lots of goods transferred by the PGR in the past two years and some of them containing perfumes, among a diverse range of items. However, the perfumed total was 184.3 tons. The perfumes were auctioned off and they have informed the Canipec. Usually, the SAE place the products they have received to the market through auctions. However, Mr Hidalgo complained that this act “would legalize what is illegal," and moreover, it is unfair competition. I really do not like the smell of this! The Institutions should be working together against piracy. Collaboration is needed between different sectors to combat illegal practices. In that way they will be smelling success. The Cuban newspaper ‘Juventud Revelde’ reports that Google has blocked the webpage navigator Zeitgeist. Added to this, the Cubans Google Earth, Google Destktop Search, Google Code, Google Toolbar and Chrome are also upon those that cannot be accessed from the island. In May this year, the newspaper criticised Microsoft for blocking MSN Messenger, which was functioning in the island since 1999. According to Microsoft the reason was that its services were limited (as for many other companies) because of the US blockade on Cuba. At that time, the newspaper questioned why after so many years of services they decided to obey such rule. Today’s measure is again criticised by the newspaper. They rightly mentioned that this new measure “goes against the pronouncements of the current U.S. president, Barack Obama, who said he was committed to facilitate access to new technologies to the Cubans." I cannot turn a blind eye to this type of news. For the last couple of weeks I have been criticising the administrative procedures and politics of certain countries in Latin America. This time however, I will have to agree with the fact that Google’s measure is out of order. Since 1962, Cuba suffers from a commercial and financial embargo from Washington. The question is: Didn’t Google know about it? Or...?? I honestly cannot think of any reason why after so many years they decided to block those programs. Malasia reconoce denominación de origen "pisco" a favor de Perú. Según ha informado el Ministerio de Relaciones Exteriores, la Corporación de la Propiedad Intelectual de Malasia inscribió la denominación de origen “pisco” a favor de Perú. El registro rige desde el 3 de noviembre y durará 10 años, tiempo durante el cual la denominación tendrá una protección exclusiva contra la utilización de terceros para productos que no sean originarios de Perú. 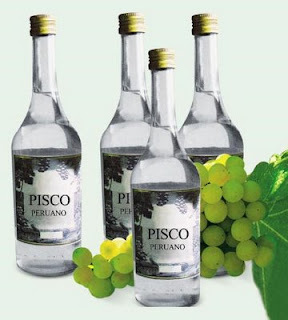 Me pregunto si el Gobierno de Chile intentará o ha intentado obtener la misma protección para su Pisco. El miércoles 25 de noviembre se dio sanción en la Cámara de Diputados a la modificación de la Ley 11723 de Propiedad Intelectual agregando el art. 5 bis donde en la misma se establece especialmente el aumento del plazo de CINCUENTA (50) a SETENTA (70) años sobre las interpretaciones grabadas en fonogramas así como también el plazo de SETENTA (70) años para los productores de los fonogramas. El el articulo modificado asimismo se verifica que establece la extensión de los plazos para aquellas obras que habían entrado al dominio publico y que recuperan el carácter de exclusivas para quienes eran titulares de los derechos económicos. 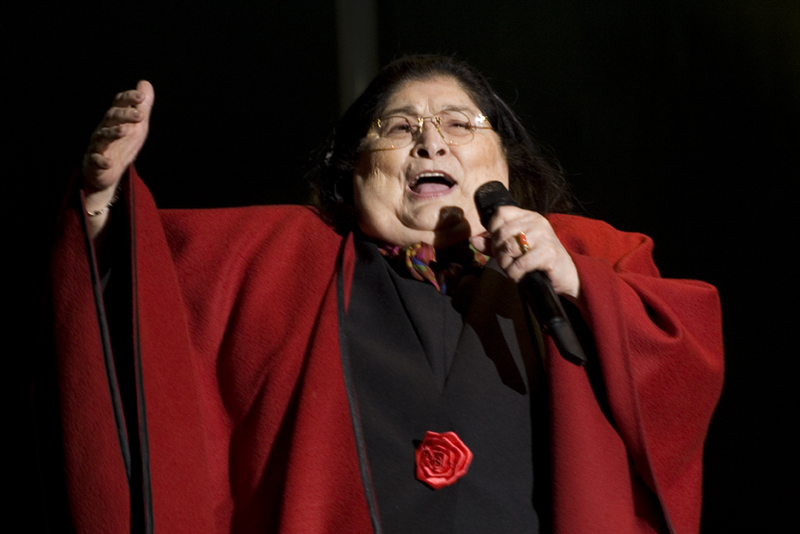 La modificación de la ley permitirá entre otras cosas evitar que algunos temas de Mercedes Sosa como por ejemplo el disco “La voz de la zafra” de 1961 pasen al dominio publico. Otros fonogramas que estaban o que pasaron al dominio público durante el plazo de protección de 50 años, cobrarán nuevamente su vigencia privada por el plazo de diferencia entre 50 y 70. Se pueden citar a los artistas Edmundo Rivero, Aníbal Troilo, Osvaldo Pugliese y Atahualpa Yupanqui entre otros, que en la década del 50-60 realizaron sus grabaciones y que debido a la modificación volverán a disfrutar –sus herederos en estos casos- de los derechos de autor en su fase económica. Artículo 5° bis: La propiedad intelectual sobre sus interpretaciones o ejecuciones fijadas en fonogramas corresponde a los artistas intérpretes por el plazo de SETENTA (70) años contados a partir del 1° de enero del año siguiente al de su publicación. Asimismo, la propiedad intelectual sobre los fonogramas corresponde a los productores de los fonogramas o sus derechohabientes por el plazo de SETENTA (70) años contados a partir del 10 de enero del año siguiente al de su publicación. Los fonogramas e interpretaciones que se encontraren en el dominio público sin que hubieran transcurrido los plazos de protección previstos en esta ley, volverán automáticamente al dominio privado por el plazo que reste, y los terceros deberán cesar cualquier forma de utilización que hubieran realizado durante el lapso en que estuvieron en el dominio público. La modificación ha sido celebrada por algunos sectores y repudiada por otros entendiendo en el sector contrario a la reforma que la misma afecta el acceso a la cultura. Un dato importante para aclarar es que la ley de Propiedad Intelectual de Argentina sostiene que el fonograma es una “obra” protegida. The forum titled "The patents as element of exclusion and limit to the health of the town", which was lectured in Venezuela, saw the head of different institutions united. Last Thursday, the Venezuelan Minister of Commerce, Eduardo Samán, the Servicio Autónomo de la Propiedad Intelectual (SAPI)’s director Arlen Piñate and the Cámara de Medicamentos y Afines (CANAMEGA)’s president , Jorge Rivas, declared their views regarding pharmaceutical patents. Eduardo Saman, declared that “all pharmaceutical patents are to be examined to see if they have fulfilled the corresponding proceeding”. To this view, Jorge Rivas added that the SAPI needs to scrutinize all pharmaceutical patents that have been granted under Andean Community (CAN) Decision 311, 313, and 344. The situation comes after two Bayer’s pharmaceutical patents were annulled by the government. As reported early in this blog here and here, the procedures under which these two patents were annulled caused controversy. The crucial point of this is based on the fact that there is not clarity on how the examination is going to be done. In one hand, the Industrial Property Act of 1956 prohibits this type of patents. In the other, the Andean Declaration 344 does allow so. Venezuela withdrew from the Andean block in 2006 (a member since 1973). So that, the debate is: will it be scrutinized under the law in force at the time the application was filed or at the time it was examined? As observed in the Bayer case, the government has a convenient way to declare that certain pharmaceuticals patents are ‘illegal’. Thus, it seems that if a pharmaceutical patent was filled or examined while the Industrial Property Act of 1956 was in force, then the patent will be annulled. From this statement, one can conclude that the Andean Community Declaration appears not to have existed! Or, is it a case that the Venezuelan government is not recognising general principles of law such as ‘non-retroactivity’ and the ‘protection of legitimate expectations’? Christmas time appears to be a good moment for the National Institute for the Defence of Competition and Protection of Intellectual Property (INDECOPI) to launch a security check campaign. The institution is working on the street by doing inspections on different shops, specifically those that sell toys. The objective is to check the marks and labelling of these products. The mark is the one needed to identify the product and the latter, involves a sanitary authorisation. This campaign is a clear reminder of what a mark signifies to consumers. Later on we have been absorbed by so many advertisers that marks have become a social status, a style of living, a representation of what we want to be or are. However, we must not put aside the principal function of a mark, that of origin. While I do agree that today’s function of a mark is more than origin and quality, I cannot stress enough the importance of recognising that a mark tells us that the product comes from a particular manufacturer. That said, the INDECOPI rightly reports that with a mark, consumers indentify the importer, or manufacturer, or the responsible for the commercialisation of the product and so, the responsible, if a query and/or claim is brought. The Brazilian government is under strong internal pressure as the World Trade Organization (WTO) has recently upheld the Brazilian complaint against the United States due to the subsidies granted to cotton producers. The concern has been the lack of a local law dealing with the applicability of commercial sanctions when Brazil wins complaints in WTO Settlement Disputes. A specific law in this regard has been recognized as of great use, since it will provide the weapons and the criteria to implement the sanctions. As a result, the government concluded in a rush a draft of proposed law and delivered it to the Parliament on November 23, 2009. In a nutshell, the Bill establishes the weapons that may be used by the government. Among them is the intellectual property rights, which encompasses the suspension of royalty remittances derived from technology transfer and licensing agreement, the grant of compulsory licenses and the importation allowances of drugs and generic drugs still under local patent protection. To secure the enforcement of the US$350 million in sanctions against the United States, recently issued by the WTO against the subsidies of cotton producers, the government is pressing hard the Parliament for approval of the Bill by Christmas. If Mr Lula feels that it will not get sufficient support in Parliament, he intends to immediately issue a Provisional Measure to make the contents of the Bill immediately enforceable. For the general knowledge, a Provisional Measure is a type of law coming from an act of the President issued in case of urgency or extreme importance. The publication makes the Provisional Measure immediately effective for a period of 45 days (http://www.v-brazil.com/government/laws/laws.html). The government is studying the options set by the Bill that may impact the most the American government. The identified preferences of the Brazilian government are as follows: (a) 1st Option – Suspension of intellectual property rights of American companies during the period of the sanction (until the American government phases out the condemned subsidies); (b) 2nd Option – Application of an additional tax or duty to royalty remittances; (c) 3rd Option – Suspension of royalty remittances and (d) 4th Option – Suspension of the internal rule that prohibits parallel importation, thereby allowing the entry of products without the prior and express authorization of the trademark/patent titleholder. Such IP sanctions will be adopted further to the ‘normal’ commercial sanctions applicable on approximately 220 American products. The Americans have been reacting against the Bill. They have been alleging that there is no reason for applying the sanctions, since the illegal cotton subsidies will be soon phased out. The Brazilian diplomacy has stated that such promise has been made but not fulfilled since 2005, when the WTO’s condemnation was issued for the first time. The Bill or Provisional Measure will be posted on IP Tango soon after the final version is disposed to the press. Peru - the National Institute for the Defence of Competition and Protection of Intellectual Property (INDECOPI in Spanish), destroyed almost two tonnes of expired and empty packaging of medicines (click here for the INDECOPI's news). The campaign started back in 2007 by the INDECOPI together with pharmacies. It consists in installing special containers in pharmacies and chemist’s shops, where consumers can go and dispose of empty or unused packaging of medicines. This is the third time the destruction has taken place and, compared to previous years (1 ½ tonne in 2007 and the same in 2008), it appears that consumers are becoming more aware and involved in the campaign. This is a cooperative effort that teaches consumers how to safely dispose medications, but to the INDECOPI, it is a situation of avoiding the reuse of packaging and thus counterfeit. I give INDECOPI’s movement the thumbs up. México: Es la piratería más rentable que el narcotráfico? Según los cálculos de la American Chamber la respuesta no es solo afirmativa, sino qué, la piratería dobla prácticamente los ingresos del narcotráfico. Difícil de creer, si, pero un claro reflejo de la realidad. Según la encuesta un 76 de cada 100 mexicanos compran mercancía pirata. El impacto de las ventas de productos apócrifos causan en la industria se estimó en unos 74 mil 699 millones de dólares, cantidad que representa un 9% del Producto Interno Bruto, según la tercera “Encuesta de Hábitos de Consumo de Productos Pirata y Falsificados en México” que dio a conocer la cámara. De acuerdo a los cálculos de la American Chamber, la piratería superó los principales rubros de ingreso nacionales, tales como el narcotráfico (40 mil millones de dólares), el petróleo (casi 25 mil millones), las remesas (21 mil millones de dólares) o el turismo (11 mil millones de dólares). En porcentaje de compra los DVD y CD ocupan la primera posición con 94%; ropa con 14%; calzado con 13% y software 10%, entre otros productos. Mientras que, los encuestados por general expresaron su resistencia a adquirir medicinas, cigarros, alcohol y alimentos piratas. You may ask: why is Venezuela in the Priority Watch List? As for the patent No. A58097, that claimed Convention Priority from DE 19546249.1, the Minister also stated that they found that it had been granted ignoring the corresponding procedure, since the claimed molecule lacks of novelty and non-obviousness. According to the Venezuelan Administrative Procedures Act, decisions may be annulled when issued under absolute ignorance of the corresponding procedure, and hence, they can be reviewed ex officio. However, we can not find an absolute oversight of the procedure in the cases of patents A54057 and A58097, as informed by the Minister. Also, it seems that the Minister is applying the Andean Community Decisions on a convenient form when he said that patent A54057 had to be examined under the law in force at the time the application was filed. However, recently the Venezuelan Patent Office started rejecting patent applications filed under Andean Decision 486, but which were examined in 2009 under the reinstated Industrial Property Act of 1956 which prohibits patents over pharmaceutical products. There is not wonder why Venezuela remains in the Priority Watch list in 2009. The country’s Minister of Trade, Eduardo Saman, declared that the Government invalidated two registered pharmaceutical patents for the antibiotic moxiflocaxin produced by multinational Bayer. The move comes after Bayer initiated civil lawsuits against two national companies that were producing generic copies of moxiflocaxin. The accused infringers alerted the Minister of Trade and the Servicio Autónomo de la Propiedad Intelectual (SAPI). Proceedings started challenging the validity of the patents. The SAPI’s director Arlen Piñate declared that the requirements were not fulfilled. The requirements for granting a patent in Venezuela are 3: the invention must be new, no obvious and industrially applicable. Piñate said that the forms did not contain the reason why they were granted. She continues explaining that the first patent was registered in 1992. To this effect, she said that at the time, the Industrial Property Law 1956 excluded pharmaceutical patents. 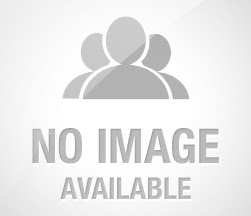 The second patent was granted in 1996 when the law was amended as to allow this type of patents. However, Piñate mentioned that the requirement of novelty failed because of the first patent (there was prior publication). Sadly, the Venezuelan view is political rather than explaining legal grounds. The declaration made by the Director appears to be focus on a socialist campaign (see SAPI’s declaration here – in Spanish). She starts by saying that ‘Bayer is putting into risk public health’. The thought that cross my mind was ‘side effects’ but I was wrong. Most of her statement is based on the dislike of transnational companies: they prevent generic alternatives, high prices for medications, and so on. However the blog is not about politics, therefore I need to proceed with IP. 1.- Bayer’s first registration nullity; Bayer’s original registration fulfilled all requirements and was granted. Unfortunately, it does not have any legal ground because of the fact that pharmaceutical medicines could not be obtained under the said legislation. How this happens? 2.-Bayer’s second registration; novelty, clearly the invention was known and used in the country; there was also a printed publication (the one in the register). Therefore, there was, we can say, a prior publication. However, should not be a defence that relates to the malfunction of the system (in this case, the Patent Office). I am afraid I do not know any case, so please free to post any comments and ideas. On a final note, ‘moxiflocaxin’ is not listed as an essential medicine by World Health Organisation (WHO), so I question, why is Bayer risking public health? WHO model list of essential medicines here. Ibero-American Secretary General Enrique Iglesias, said that this forthcoming meeting looks better than previous years (in an informal note, perhaps he was referring to the XVII forum when the King of Spain demanded to the Venezuelan President to 'shut up'). Going back to the point, according to him, there is a healthier economic environment. He also adds that Latin America as well as any country in general, have learned to better manage economic affairs and are innovating in business structure and social policies. Iglesias said that ‘innovation’ is very low in both Latin America and Spain and Portugal, but yet, they are ‘things that contribute’ (did not say what and how – I wonder if there is a hidden agenda). Anyway, he continues to explain that they are not starting from scratch and thus mentioned the Brazilian oil industry, biotechnology, the Ibero-American Science and Technology Education Consortium (ISTEC)and the Economic Commission for Latin American and the Caribbean (ECLAC). Finally, Iglesias hopes that during the Spanish presidency of the Council of the EU (Jan-Jun 2010) the EU will sign association agreements with Central America, the Andean Community and Mercosur. At the moment, innovation is the key to raise competitiveness for Latin America. However, it is understood that these countries have a very low level of innovation but are rich in biodiversity, so that what to do and what is the cost? Recently, I have been observing the negotiation agreements between the EU and countries such as Chile, Peru, Colombia and Ecuador and there is always a crucial point where talks appear to be on hold, that is, intellectual property (apart of course from the sensitive issue of the banana market). Looking at the intellectual property clauses and table of negotiations, I sense that Latin American countries not only would like to protect but use their biodiversity themselves. Nonetheless, note that countries cannot give and get nothing in return - negotiations are focus in reciprocity. That said, Latin America countries are getting better quotas for products, which are not bad, but my concern is that they are not getting what is needed in this area. I would finally say that negotiations in this issue should be considered if others make significant attractive offers in the innovation sector rather than a mere economical advantage. El piloto había avisado a Google desde julio de 2006 julio de 2006 que retirara esos perfiles, pero no obtuvo ninguna respuesta. 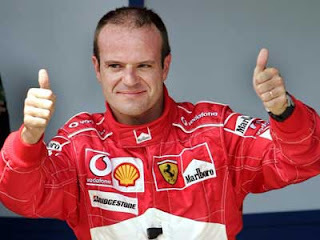 Como no recibió respuesta alguna, Barrichello denunció el caso, tras lo cual, un tribunal de Sao Paulo le dio la razón. La sentencia es de primera instancia y seguramente será recurrida por Google. Last week, the Colombia’s capital has seen the EU and Peru and Colombia negotiating an Association Agreement. This Agreement concerns three issues: Free trade Agreement, cooperation and a form of political dialogue. However, according to Aguiar Machado (the EU negotiator in charge) the last two were put on hold because EU does not want to isolate the rest of the Andean block (the Andean Community is composed by Bolivia, Colombia, Ecuador and Peru; Venezuela withdrew in 2006). The agreement has already closed half of the table of negotiations but yet, need to agree in other issues such as: reduction of import and export tariff in the banana industry and cars; an annual increase in the quota for sugar from the Andes to the EU; fishing and services; among others. Regarding to Intellectual Property, Mr Santiago Pardo (Colombia’s main negotiator) affirmed that the negotiation regarding this area is ‘going well’ and that an agreement has been reached regarding patents. However, there are issues that are still of debate. For instance, on one hand Peru and Colombia are seeking for an agreement that ensures good use of its rich biodiversity. On the other hand, Europe is debating to protect their appellation of origin. The EU and the Andean Community have been working towards a bilateral Agreement since 1993. By the fourth round (July 2008)the negotiations failed due to Bolivia and Ecuador causing tension. The Agreement block to block (Andean Community and EU) failed but two of the members continues with talks. The separated bilateral Agreement as it looks, seems that it is close to conclusion. I would like to be optimistic. The reason being that the block to block agreement negotiation lasted more than ten years and it did not succeed. Last September, Peru and Colombia asked Brussels to continue bilateral negotiations and two month later they have managed to negotiate half of the 14 tables of negotiations. It seems pretty good to me. For more information regarding the failed Andean Community and the EU Agreement (CAN - EU) click here. Brazil Signs Agreement with England and Seeks Knowledge for the 2016 Olympic Games: Will the Existing Technology Transfer Framework Permit it? The visit of the Brazilian President Luis Ignacio Lula da Silva to Mr. Gordon Brown on November 4, 2009 at 10 Downing Street had the clear purpose of securing assistance and technology transfer for the organization of the 2016 Olympic Games in Rio de Janeiro. Besides meeting the British Olympics Minister Tessa Jowell, a Cooperation Agreement was signed on the same day. This Agreement will allow the Brazilian Organizing Committee for the 2016 Olympic Games to have access to the experience and knowledge gathered by the British Olympic Organizers for 2012. The Brazilians are keen to learn about the impact of the Games to the environment and to the population. Therefore, the document aims to make possible the exchange of information between the countries and continuous visiting programs. Further to that, the Brazilian government is very much interested in the effects and results of the British Act 1995 (OSPA) that protects the Olympic and Paralympic symbols, mottos and various works and the London Olympic Games and Paralympic Games Act 2006, as they have been recognized by the British government as indispensable instruments for funding the games. The way ambush marketing will be dealt with in practical terms by the British is also a matter of great interest to the Brazilians, as the practice of false representation or any association, affiliation or similar relationship with the sports event has not been previously known locally. Many people wonder whether this Cooperation Agreement and further conveyance of knowledge from British companies will really work out due to the existing technology transfer framework in Brazil. Limitations on foreign exchange controls, taxations, government approvals and difficulties in obtaining working visa permits still persist and are yet to be phased out due to the opening of the economy in the last 20 years and the good momentum Brazil lives. Believe or not, such rules were implemented back in 1975 when Brazil was thriving for deeper industrialization and lived under a dictatorial government. It seems nevertheless that technology transfer limitations will not apply to the organization of the 2016 Olympics, at least this is thought of IP scholars as Articles 2 and 3 of the Brazilian Olympic Act provide special treatment for foreign professionals coming to Brazil for the organization, planning and implementation of the Games. Maybe the 2016 Olympic Games is a good opportunity for the Brazilian government to get rid of such outdated legislation to technology transfer. Who knows? This may be a clear skeptical answer to those who know that the main characteristic of the Brazilian government is the persisting life of the old despite the prevailing new ideas in economy and politics. Gracias a Ricardo Antequera he tenido conocimiento del Centro Colombiano del Derecho de Autor (CECOLDA), asociación de más de 18 años de existencia. Su web site proporciona abundantes noticias (a través del Boletin informativo mensual), publicaciones (gracias a la revista electrónica El Derecho de autor, accesible gratuitamente), normativa y jurisprudencia (preferentemente de Colombia). Junto con este importante recurso de información en Internet, también quiero aprovechar para recordar la gran labor que se realiza en CERLALC (Centro Regional para el fomento del Libro en América Latina, el Caribe, España y Portugal) y su sitio web Derecho de autor en linea, con gran número de decisiones de países europeos y americanos, gran cantidad de leyes y reglamentos, una escuela en linea sobre derechos de autor, y un servicio de asesoramiento virtual. Last Monday the National Assembly of Ecuador debated the ‘Communication Law’ which regulates the media in the country (click here for article). More than 60% of the law was approved and now waits to be discussed and passed by the legislative. The Law seeks to control the content of the media and its activities. It imposes for example that all radio, TV stations, newspaper and among others, need to register its data and ethic code before a Communication Institute which will be created for that effect. The Institute will be in charge of monitoring the media. Press freedom appears to be the latest tendency of several Latin America countries. For instance, the Audiovisual Services Law, in Argentina and the proposed Media Law in El Salvador. I cannot leave outside Venezuela where the government has closed 34 radio stations and one TV station by applying the Law of Social Responsibility in Radio and Television. The Inter American Press Association (IAPA)has also mentioned the situation in Cuba. It referred to the controlling and censoring of Internet. Last month for example, Yoani Sanchez, a Cuban blogger who criticises the government, was not allowed to go to New York to receive a prize awarded by the University of Columbia for her journalism (see press release here) - Oh! I better behave or my president will not allow me to go and visit my family. Without a doubt, the most serious concern is the human rights, namely, freedom of expression. However, what is interest to blog is that this affects enormously the industry of copyright and it will indeed weaken it. Clearly, there is a conflict between copyright and freedom of expression because authors are stop from expressing information in the form of the literary work which is protected by copyright. This is already happening in Venezuela. This week the country celebrates a ‘Book Fair’, where the Bolivian writer Verónica Ormachea Gutiérrez was not allow to present her book due to its content. She writes in her book about the idealism of Evo Morales ( Bolivia's president) and Hugo Chávez (Venezuelan's president) and consider them as being dictators (press release here). Click here for the full report (by the IAPA) regarding press freedom here. En su sesión del 5 de noviembre 2009, el Pleno del Congreso de la República aprobó por 66 votos a favor y ningún voto en contra u abstenciones, la Resolución Legislativa No. 3426 que aprueba el convenio "Suprimiendo la Exigencia de Legalización de los Documentos Públicos Extranjeros" adoptado el 5 de octubre de 1961 en la ciudad de La Haya, Reino de los Países Bajos. Con la Apostilla de La Haya, que es un sello especial que se estampa sobre un documento para certificar la autenticidad de una firma, se suprime el requisito de legalización diplomática y consular de los documentos públicos que se originen en un país miembro del convenio y que se pretendan utilizar en otro. A recent article describes how the Mexican Institute of Industrial Property improved the electronic services that it provides to the public. In recent years it has created both (i) Banapat, a patent and trade mark database that logs the publication of patent applications and granted patents, utility models and designs, and (ii) MarcaNet, which allows the public to access general information online and consult the status of trade mark applications and registrations. * Solmarnet, a new system for filing trade mark applications online. "Cross-retaliation (retaliation in a trade area other than the one in violation) is permissible under WTO rules and could be used to lower prices on patented pharmaceuticals. According to the Camex [Câmara do Comércio Exterior -- the Brazilian Board of Trade] executive secretary, the second stage sanctions involving exceptions to patents on drugs and more tariffs in services only will occur after the implementation of the first product tariffs. And a public consultation also will be held. Exceptions to patents such as compulsory licences already are permitted under WTO rules, but could be made easier through WTO sanctions. The National Institute of Intellectual Property ..., under the Ministry of Development, Industry and Commerce, is awaiting instructions to participate in a discussion on creation of a list of patent exceptions. The technical staff from the institute do not yet have details on retaliation in the area of intellectual property. On 10 December, there will be a meeting of seven ministries involved with this subject and Camex. During this meeting, they will analyse the public suggestions to list. Of the content of these 222 products, the list includes food, medicine, medical equipment, cotton, appliances, cosmetics, and accessories for vehicles. According the Commerce Ministry, the total value of the list is $2.7 billion, and some products may be excluded". Wine piracy appears to be a common phenomenon for markets such as China and Europe. The Chilean newspaper El Mercurio reports that 30% of European wines sold worldwide are counterfeit. The amount rises abruptly in China, where it is reported that 70% of imported wines served in restaurants are counterfeit. This year, Chilean winery market has found only twice this practice. Yet, on one hand, Wine of Chile, which is an entity that encompasses 65 companies, is meeting on November 25 to get ready for this type of fraud. The industry is looking to ascertain the authenticity of its product. On the other hand, the Association of Luxury, which includes 25 brands, is to impart seminars for members to address this issue. Chile prepares against wine piracy - point of attention. The industry states that the counterfeit seen is extremely rudimentary. It is basically original bottles which are washed and then, filled with cheaper wine. Therefore, they are easily recognisable because the seal is not the original and the cork is of poor quality. The industry does not know at this stage the measure that it will be implementing. However, they are looking at security labels as a key. Also, the industry advises to buy from licensed premises such as supermarkets or special stores. Clearly, our point of interest (as well as the wine industry) is fair trade. But yet, I believe that the circulation of information that they are intending to do, does not help only the industry (profit wise) but consumers at large. At the end, there is one reasonably issue in here which is important to everyone - public health. On October 29, the Brazilian Government and Fundação Getúlio Vargas (FGV) laid the foundation stone for the creation of a specific law to regulate internet legal matters. Unusually, the Government has decided to launch a public consultation regarding internet's most problematic issues, such as the protection of individual and collective rights, the right to privacy, the freedom of speech, the liability of internet service providers and the use of legal remedies to restrain the violation of third party rights. Local courts have been dealing with these problems in a very precarious way, since Brazil has till now had no specific law addressing internet issues, unlike some other countries. Behind this initiative is the fact that the use of the current legal framework has only generated more legal uncertainty and unpredictability within society up to now, in particular to companies that operate through the internet. The authors of this project have recognized this problem and further state that the lack of a specific internet law ends to interfere in the development of Brazilian e-business and the exercise of fundamental rights. This consultation will be available to the general public for the next 45 days and after that, a second phase begins for the Government and FGV, i.e., the drafting of a bill. As soon as the bill is concluded, a fresh public consultation will be launched. "On January 30 2009 the National Institute of Industrial Property (INPI) registered its first scent trademark to be applied to the container of a product in Argentina. The trademarks are registered as 2.115.161 to 2.115.166 and issued as Numbers 2.270.653 to 2.270.657, respectively. They are owned by L'Oréal and registered in International Class 3. The registrations were granted by Resolution 131/09. In all cases the scents comprised a "Fragrance of…[different fruits in each case]… applied to the Containers". If the fragrances had been applied to the product rather than to the container, the INPI's criteria would surely have been different, since in certain cases the application of the fragrance to the product itself (eg, strawberry, raspberry and peach scents) would have beeen objected to by those parties that manufacture such products in the public domain. L'Oréal's applications for the scent trademark registrations date back many years, following a third-party opposition when they were first published. When legal action was brought for the withdrawal of such opposition, the court emphasized that in order to determine the registration of a sign, it is not a "substantial requirement" under Argentine trademark legislation that such sign be "visually perceptible" or "graphically represented". Subsequently, the intervening court notified the INPI about the withdrawal of the third-party opposition. Consequently, the final decision to deny or grant registration of the trademarks in question fell to the application authority (ie, the INPI). By means of a brief report, the INPI evaluated the marks' intrinsic and extrinsic distinctive capacity (compared to other identical or similar signs in the same class), and reached the above conclusion, permitting registration of the scent trademarks. It is important to highlight the criteria adopted by the INPI when it originally accepted the registration applications and ordered the corresponding publications and now proceeds to grant such non-traditional trademarks without demanding that they fulfil impossible requirements (eg, graphic representation or visual perception)". Marlene Prada Bautista applied to register at the INDECOPI a figurative mark featuring a rectangular label which contains the stylized shape of a woman’s body and the word mark ‘fájate’; colour was not claimed. The word ‘fajate’ comes from the reflexive verb ‘fajar’ meaning I wrap myself. The actual item which you use to wrap yourself with is called ‘faja’. Generally a ‘faja’ is used by women who would like to look well shaped (in South America we use it mainly after giving birth and for special occasions – not that I ever needed one!) and is common in the sport arena for bracing or supporting your back. The application originally was for ‘shoes, hats, dresses, lingerie, underbust, shapewear, and cyclist’s brace’ (Class 25). The question on this case was whether the sign was descriptive against the goods applied for. The Office refused the mark considering inter alia that (1) the term ‘fájate’ comes from the action ‘fajar’, meaning to wrap part of your body with a ‘faja’. Therefore, the dispute term will be perceived by the public as an invitation to use ‘fajas’ as a underbust, shapewear and cyclist brace and thus, relating to the products that the manufacturer wants to distinguish; (2) even though the figurative mark presents other symbols, they are not distinctive since the disputed term is the one that stands out. The applicant inserted a motion for reconsideration but this time limiting the sign to only ‘shoes, hats and dress’. The Office however, upheld the decision considering that the term was still descriptive of the goods applied for. It explained that there are some dresses that in the inside contain a type of ‘faja’ as to stylize the shape of the person wearing it (I wonder if the Officer tested the product). The view was also extended as to consider the need to keep free policy. Miss Prada appealed to the Sala de Propiedad Intelectual (court of first instance) requesting the decision to be annulled. However, at this time, she asked for the term ‘fájate’ to be avoided. The court started to analyse what a descriptive term is (Art 135 (e) Andean Community Decision 486) and what makes a mark distinctive (Art 135 (b) Andean Community Decision 486). To sum up, the decision turned very much on the particular facts. The court studied the sign as a whole eluding the term. Specifically, the court examined the rectangular label which corners are rounded, containing in the inside a stylized shape of a woman’s body and a characteristic writing. Therefore, the court reversed the Office’s decision due to considering that the sign was distinctive against the goods applied for. Uh? did I miss something? Stories are meant to teach you a lesson. In law, we look for eliminating the complexity of issues. However, this case leaves us with the same questions as always – where to draw the line when in presence of descriptive marks and those that are not capable of distinguish? I believe that these issues are indeed a question of fact. That said, if we analyse the case I agree with the Officer’s view. He rightly evaluated the sign as a whole. At this stage we must remember that the term was claimed as being part of the mark, but yet the Officer said that those other parts of the sign were not distinctive because the only distinctive part of the sign was the term (which was descriptive). I wonder why the Court did not see that. If we remove the part that stands out, we are left with a quite common label for ladies evening wear. But then, this will not be a matter of descriptiveness but a matter of distinctiveness instead. If the term can be used by anyone in commerce, what makes this particular sign distinctive from others? Clearly, decisions are made case by case, yet I consider that the mark in this case is one of those that can go either way. I finish by saying that there is indeed such a thing as bad trade marks and hence, manufacturers that do like risks (terrible tanguero that does not compete fairly!). Evidently, to own a mark that can be easily associated with others, will make the former weak. The case in Spanish can be found in here. Back in September, a group of people from the wine industry (vineyard owners, winemakers, academics, advisers, among others) which is lead by the Wines of Chile, are meeting weekly to work on a new map of Chilean wine. The goal is to introduce new appellation of origins (read the Spanish report here). At the moment, Chile has one wine geographical indication, namely those that are in the ‘Valley’ and protected under Decree 464. They are now looking to extend it to ‘Coast’, ‘Central’ and ‘Mountains’. In 1995 a wine map was published. It runs from north to south of the valleys. They believe that this is obsolete; it is considered that there is an increase geographic diversity due to the climate changes that occur from the foot of the Andes (Mountains) to the Pacific Ocean (Coast). For example, they consider that vines near the coast (colder weather) produce white wines of much higher quality. It appears that they are doing their homework. Two months later - November, they have already bought a database with the climate of Chile in the last 20 years and have already used isothermal boundary lines to draw the map. All members registered with the Wines of Chile are sending GPS coordinates of their fields, their altitude and a self-rating within the three proposed categories. The effort appears to be paid off. The director of Agricultural and Farming Services (SAG in Spanish) declared this week, that he would like to collaborate. This body is the one that starts the process for the Decree 464 to be amended (then it needs to be signed by the Ministry of Agriculture and later on, sent to the President for approval). So, to have the director in their side is a good start. The big question is, what is the motive – are they pure Geographical reasons or monetary ones? I believe both. On one hand, it is important that the legislation recognises the wine industry. By this way vintners communicate to consumers that a vineyard is located in a specific area. On the other hand, as in any business, there is a commercial interest behind. Once consumers know more about the product they will be willing to pay more – the premium. If everything goes as planned, next year we will be raising our glasses to ‘Aconcagua Costa’ or ‘Cachapoal Cordillera’. Will Avon's ladies lure the Latins? "After seeing its sales take a bit of a battering in North America and China, Avon has been refocusing on sales to the cash-strapped by (i) promoting lower-priced products, and (ii) heavily targeting Latin America, where, the company says, people spend a high proportion of their income on beauty products". IP Tango says that Avon should beware. 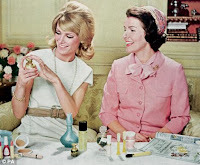 The fact that Latin American consumers spend a high proportion of their income on beauty products doesn't mean that they are going to provide the cash expenditure to bring the Avon brand out of its doldrums: if you're spending a high proportion of your income on cosmetic products, the explanation might either be that you love the luxury of these products -- or that you're not earning so very much in the first place. The Brazilian National Institute of Industrial Property (INPI) has been recently providing goods news and making strong efforts to enhance the quality of its services, especially on patent and trademark prosecution matters. Last October 30, INPI announced the raise of the number of the patent allowances in the last three years, with 3.681 patent applications in 2008 and 2.419 patent allowed in 2007. For this year, it is expected that the total amount will reach 3.886 allowances. In 2010, INPI is committed to achieve the number of 4.250 favorable decisions. This news is regarded as the recognition of INPI’s effort and commitment to decrease the time of the patent examination procedure and the current backlog, as this Agency used to take almost 8 years to grant or refuse a patent. As to trademarks, INPI’s President – Mr. Jorge Ávila – promised in last October 22, to reduce trademark examination procedure up to 12 months already in 2010. This promise went public soon after a Report promoted by the American Chamber of Commerce (AMCHAM) in Brazil had stated that INPI is not a reliable Agency due to the continuous delays in trademark prosecution, which can take place up to 5 years. In reality, it was not the first time that such announcement was made by the President of INPI. On April 2008, Mr. Ávila confirmed that this Office was taking stringent measures to improve trademark examination so that INPI can meet the required deadline of 18 months, as set out by the Madrid Protocol. Further to that, the efficiency of INPI’s services in trademark prosecution will be valuable to effectively implement the cooperation agreement executed between the INPI and the Federation Internationale de Football Association (FIFA). This general cooperation signed in March 5 aims to provide a better protection to FIFA trademarks, as a preparation for the 2014 World Cup of Football that will take place in Brazil. Back in 2008, Shell, the oil company stated its intention of selling its Central American operations. One year later, the Honduran company has won the competition for Shell’s distribution and operation in Guatemala, Nicaragua and Honduras (it previously obtained the operations in El Salvador). The agreement establishes that the Terra Group will uphold and respect existing contracts with suppliers and with tenants (see press release here in Spanish). The sale was confirmed by Fabricio Pereira, manager at Shell Costa Rica. He explained that "the agreement includes operation, marketing and sales in those countries, including Shell's strategic alliances”. The agreement also includes the acquisition and license to use the brand in these countries. Alfredo Bryce Echenique, known as the winner of the ‘Premio Planeta 2002’ for his novel “ the garden of my beloved” has been sentenced by the INDECOPI. The decision comes after the writer allegedly copied 16 articles from different media (nationally and internationally). In January 2009,the first administrative instance at the Copyright Commission – INDECOPI held that Mr Bryce has infringed moral rights which are protected under ‘Ley sobre el derecho de autor’;specifically, the right of integrity (Art 25) and the paternity right (Art 24). The writer was fined 71,000 new soles ($56,000 approx). 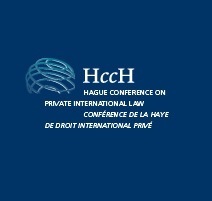 Mr Bryce appealed to the decision on the grounds that there were improprieties in the proceeding such as: the defendant (Mr Bryce) was not properly notified in his legal domicile which was in Barcelona, Spain; that the alleged copied articles were published in Spain and therefore, the Peruvian courts lacked of jurisdiction; and lastly, that the first administrative instance did not take into consideration the principles of proportionality and reasonableness. Moreover, there was, according to him, a pending request for defence to the institution as to declare invalid the resolution. The National Institute for the Defence of Competition and Intellectual Property Protection (INDECOPI in Spanish) upheld, through the Intellectual Property Chamber, the first instance decision. It confirmed that there were not improprieties in the process and that the Peruvian law grants right to authors irrespective of nationality or place of publication (Art 203). What is more, it also extended the decision to mention that the fine was proportional to the infringements since they were repeated (Art 186 (f)) and disseminated through mass media (Art 186 (e)). I believe indeed that the penalty imposed is proportional to the harm caused. However, how is this fine going to be distributed? Usually compensation for the alleged infringement is made to the editorials – the copyright owner. However, as we are in presence of moral rights, should not compensation be to the authors? The law does not explain this point, Art 186 and Art 194 only set up how compensation must be established. After hearing the sentence the writer said that he will resort to the judiciary, believing that the judicial system is more reliable that the administrative one. There is under Peruvian law the possibility of a civil and penal proceedings . However, I do not expect a u-turn if the case goes into trial. The key issues are the ‘amount taken’ and the ‘use made’ of the work. As the case stands, it appears to be against Mr Bryce because there have been substantial copy and the use was for commercial purposes (Art 186 (b)). He could also be in front of a penal action and thus, could put himself in jail for no less than 2 years (Art 217). The biggest social network, which has more than 300 million users, has expressed its intention for closer relations in the Latin American market. Michael Murphy, worldwide sales vicepresidente at Facebook, explained that Facebook is a great place for brands. At the moment, there is a large portion of ‘Latinos’ visiting the website; from these, one million are developing applications for the site. He believes that Facebook is a great place for consumers who would like to share and create business opportunities. Facebook’s advertisers want closer relations with users and they are planning to do so through Fox Point. Hector Costa, senior vice president and general manager of Fox Point Networks for Latin America, said that “in Latin America web advertising penetration is growing at double digits every year. Advertisers want to use social networks to advertise their goods and services”. Murphy, also explains that Facebook has a link to advertisers in different formats and so a brand can send messages to users. Nevertheless, he said that this is just a business model which is in test phase. All the same, he confirms that Facebook’s revenue comes from advertising. As for competition, he mentions that Facebook differs from others like Twitter and MySpace in that people on Facebook register with their real name, and other networks of people are anonymous, "so Facebook is a safer space for brands to reach out to consumers." Facebook is working as any other media - professionally. They are not taking advantage of the cyber space – are you listening...metatags, keywords, hyperlink and finally adwords? We can note a straightforward business agreement. There is ‘consent’ to display an advertisement. That said, if we do not discuss here the issue of whether an average consumer will be confused or not by these new way of advertisements, it is clear that there are ‘fair practices’ in which the cyber world can integrate marketing and advertising without raising concerns to trade mark owners.